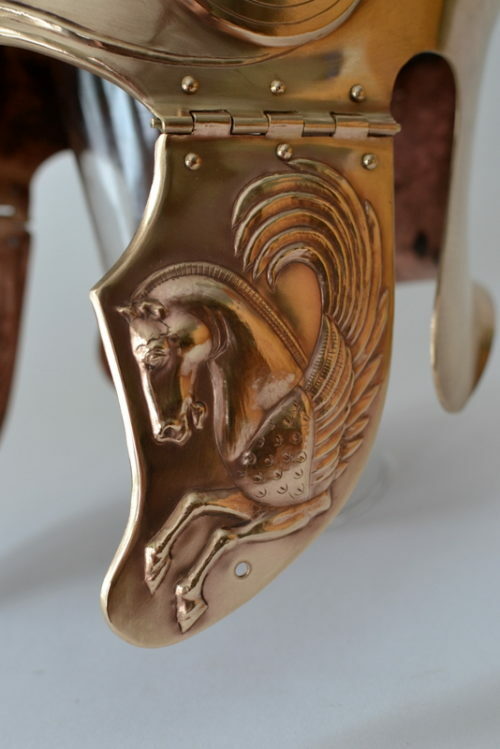 The cheekguard of a bronze Chalcidian helmet, in repoussé, by Jeffrey Hildebrandt. Horsey! Jeffrey Hildebrandt is offering several courses on historical metalworking techniques in Saskatoon, Sakatchewan this winter. 4-5 students per course. Spillover interest may lead to additional courses. Course fees can be paid digitally to register – contact me by email. Register early to secure your spot; free cancellation up to a week before the class. All tools and materials are supplied, and you keep what you make. To register before the classes fill write to Jeffrey Hildebrandt (master@royaloakarmoury.com) All prices are in CAD.